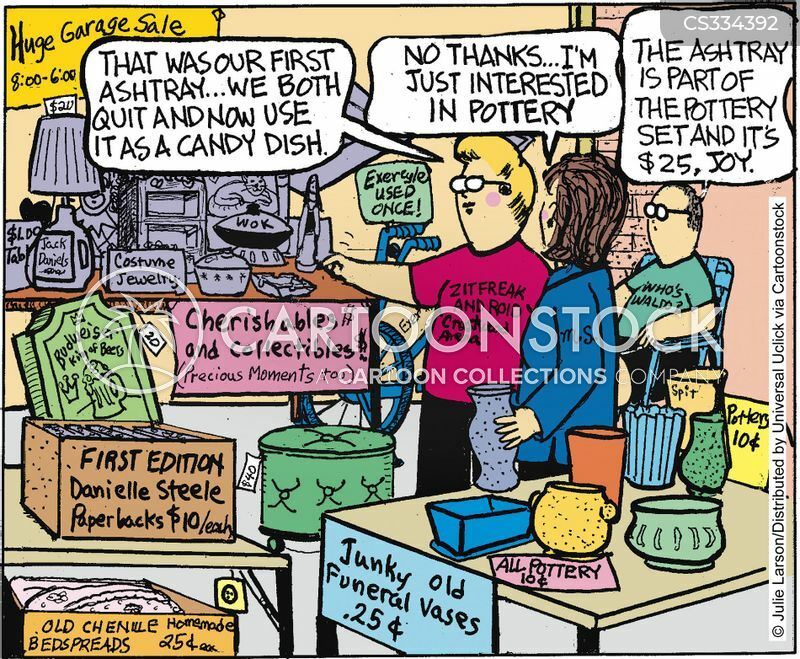 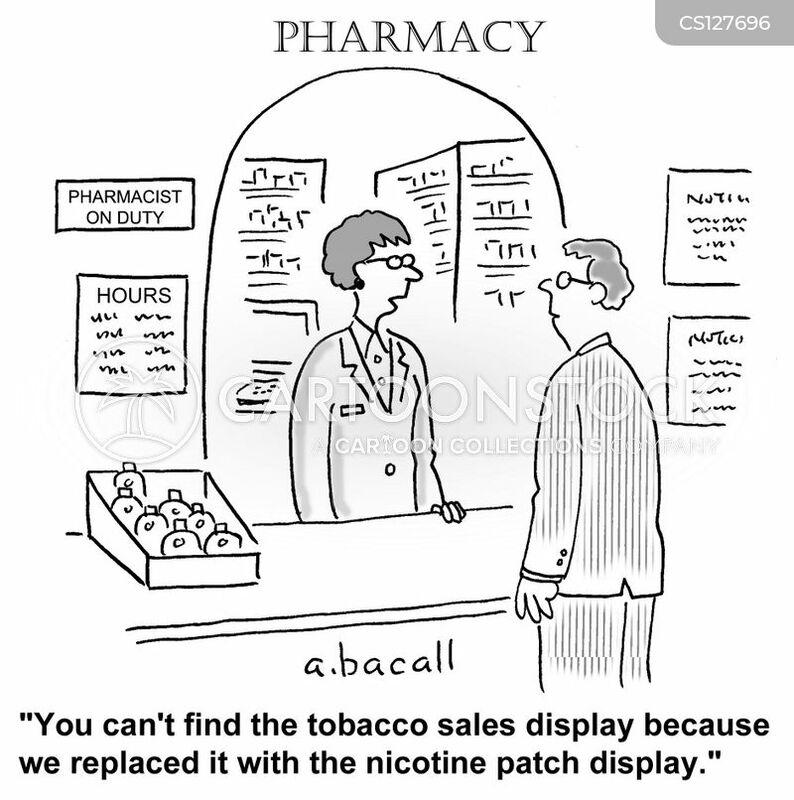 "You can't find the tobacco display because we replaced it with nicotine patches." 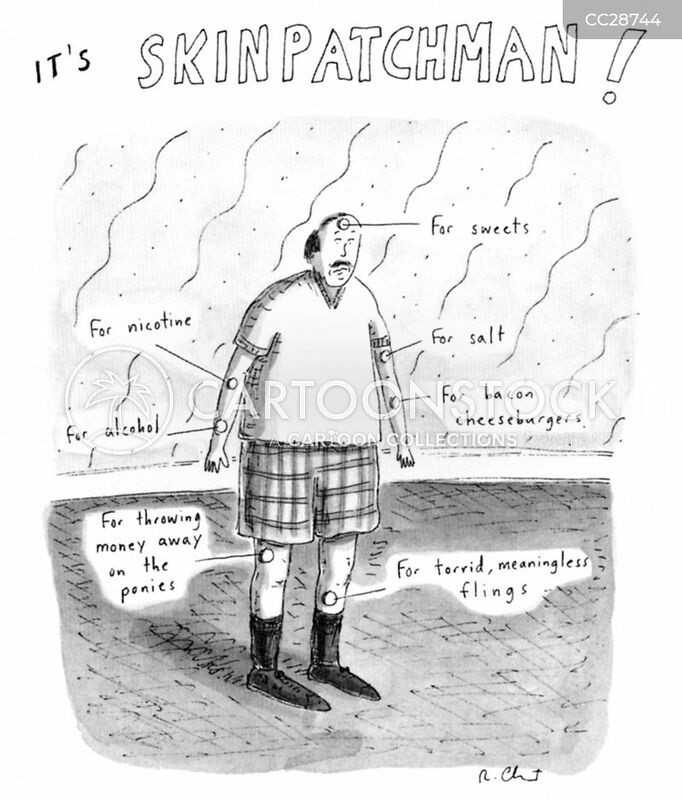 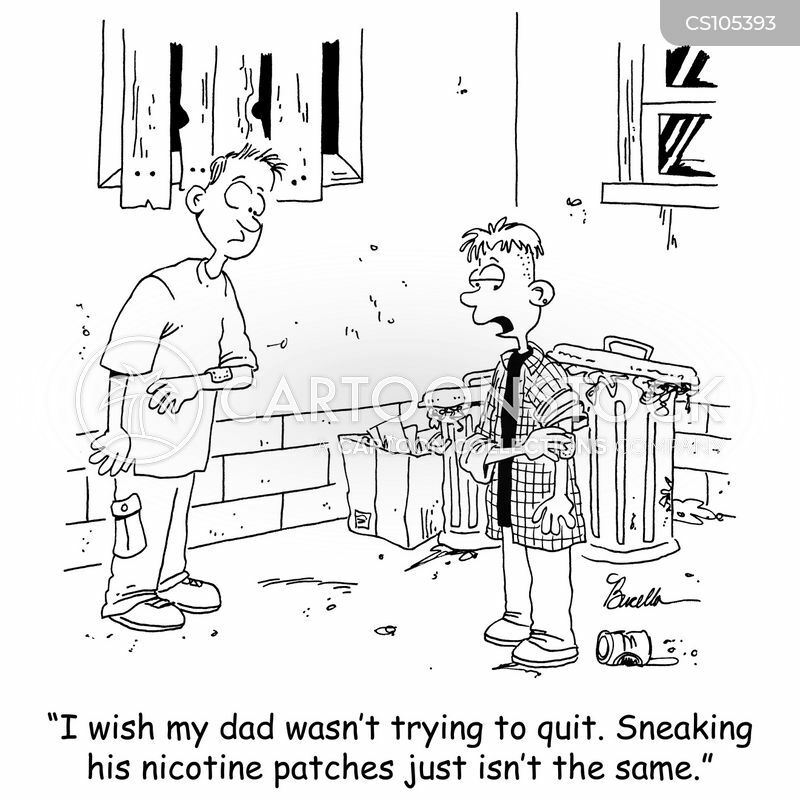 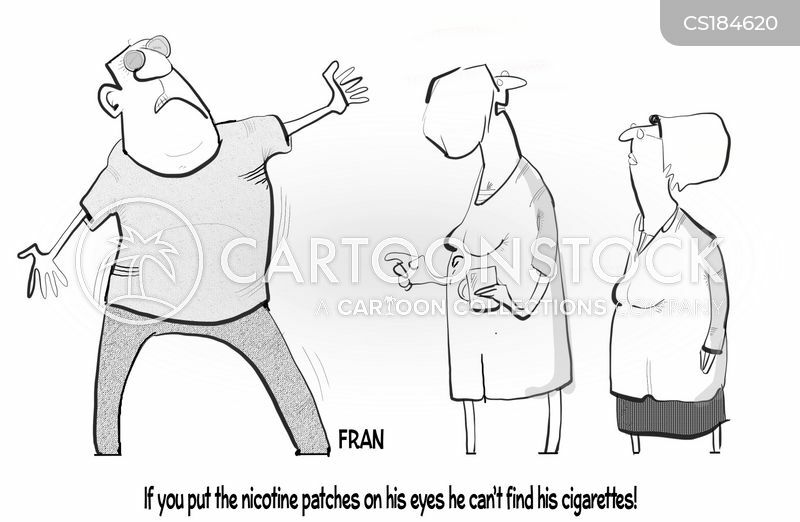 "If you put the nicotine patches on his eyes he can't find his cigarettes!" 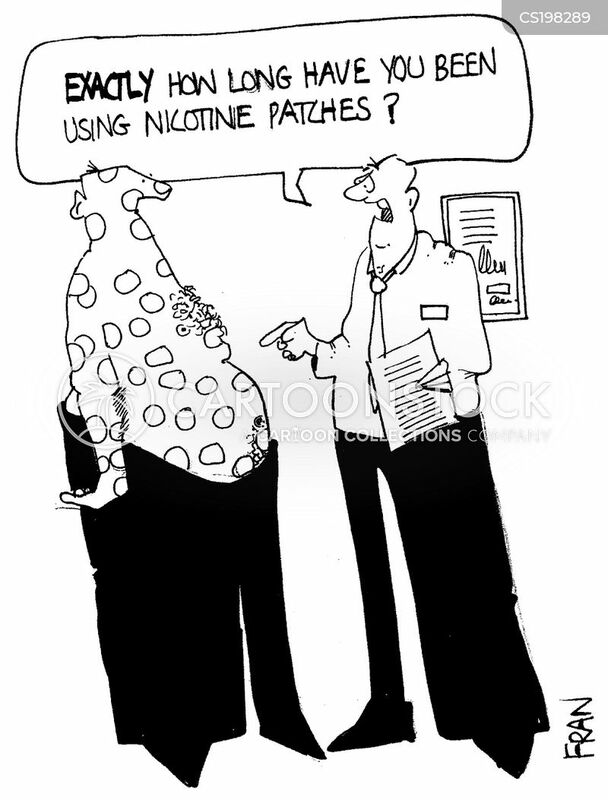 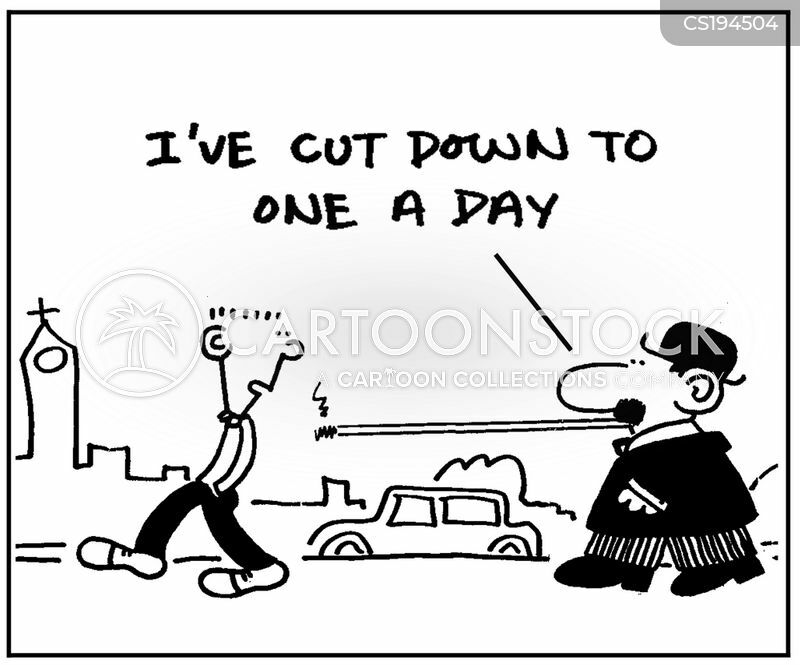 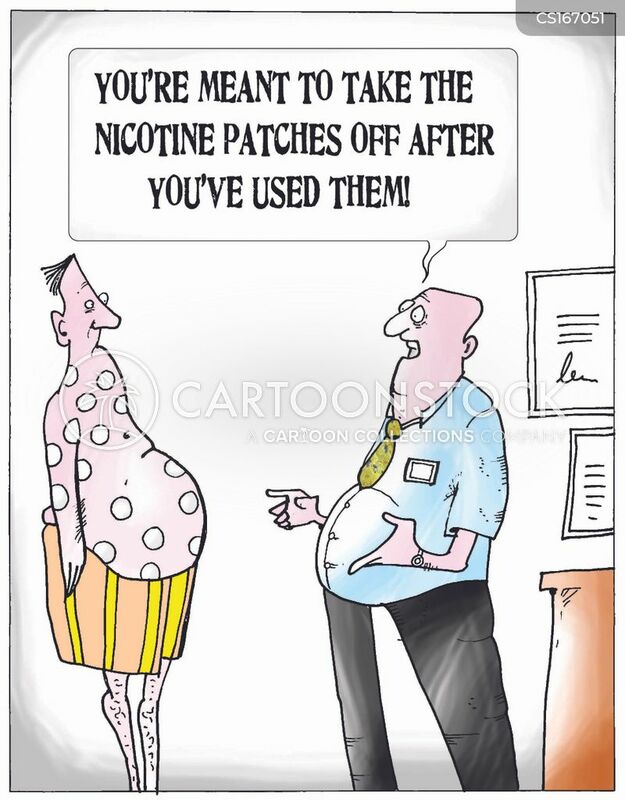 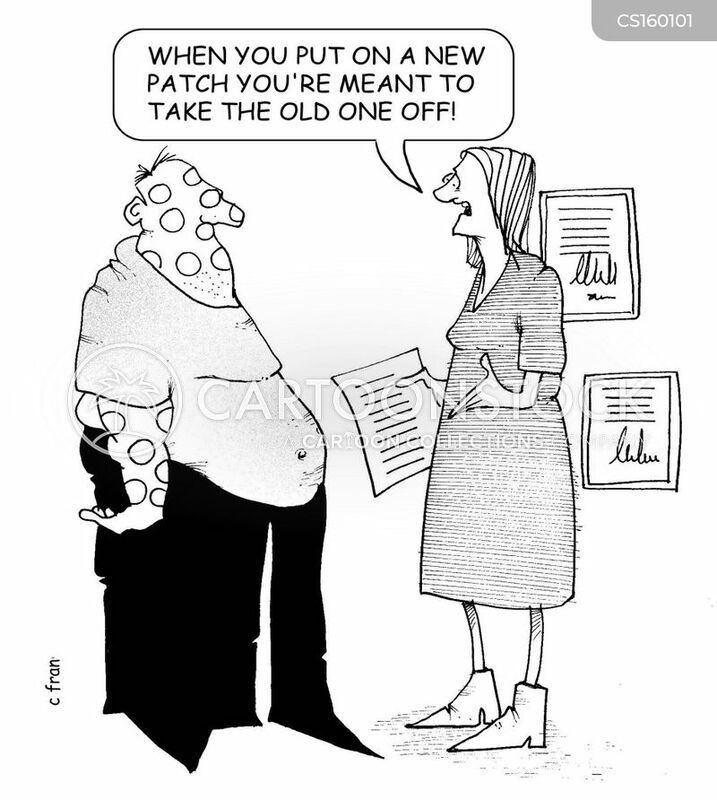 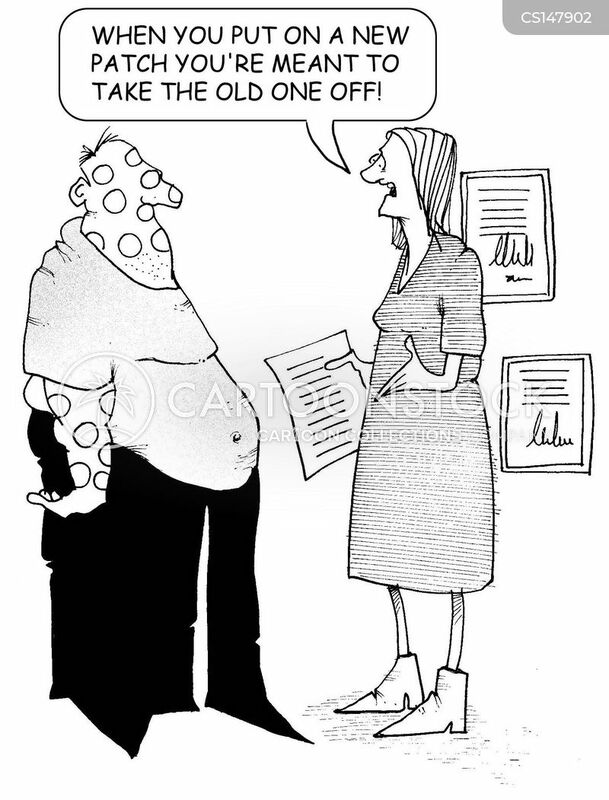 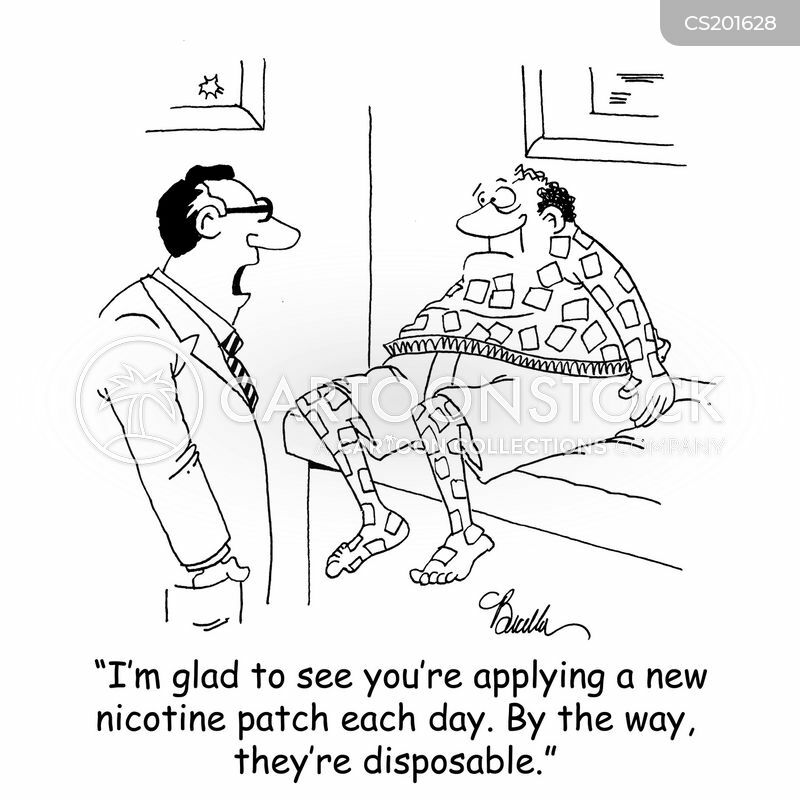 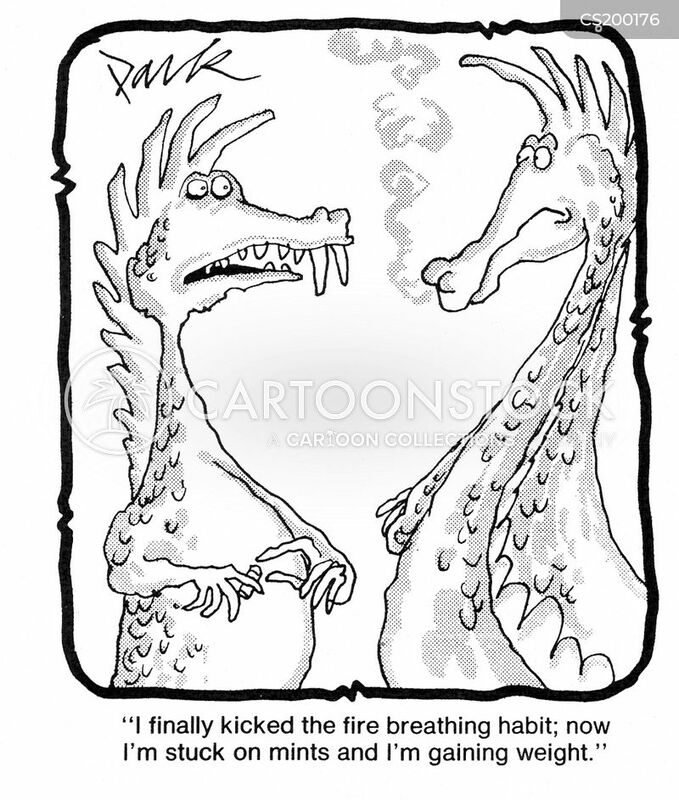 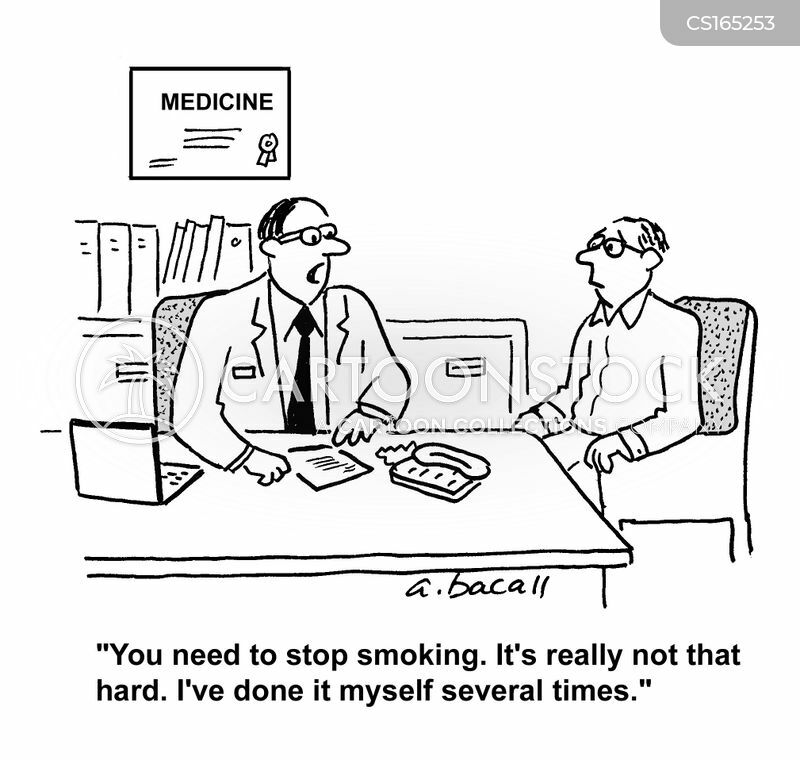 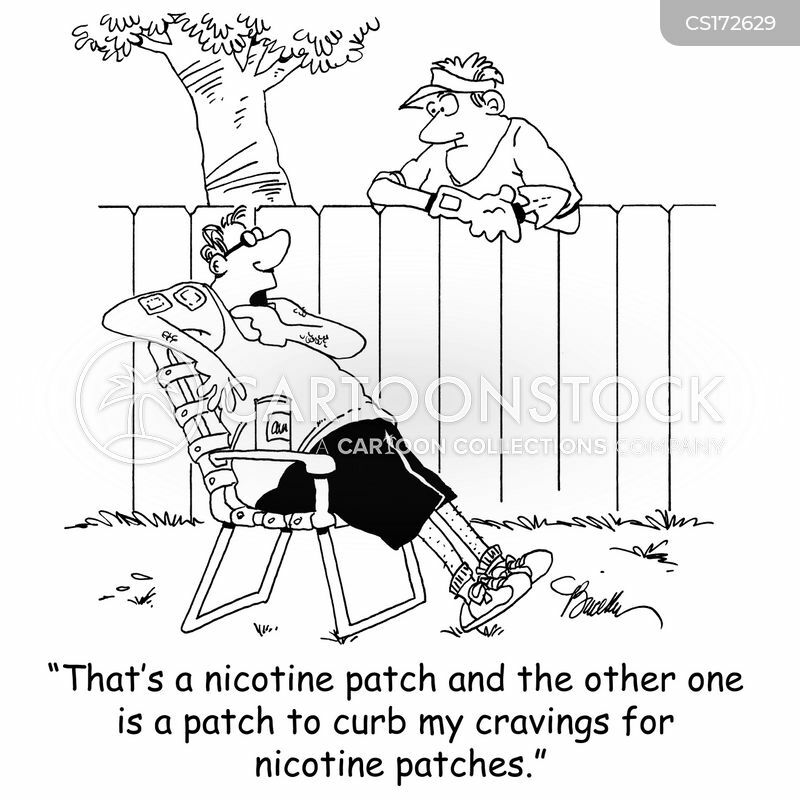 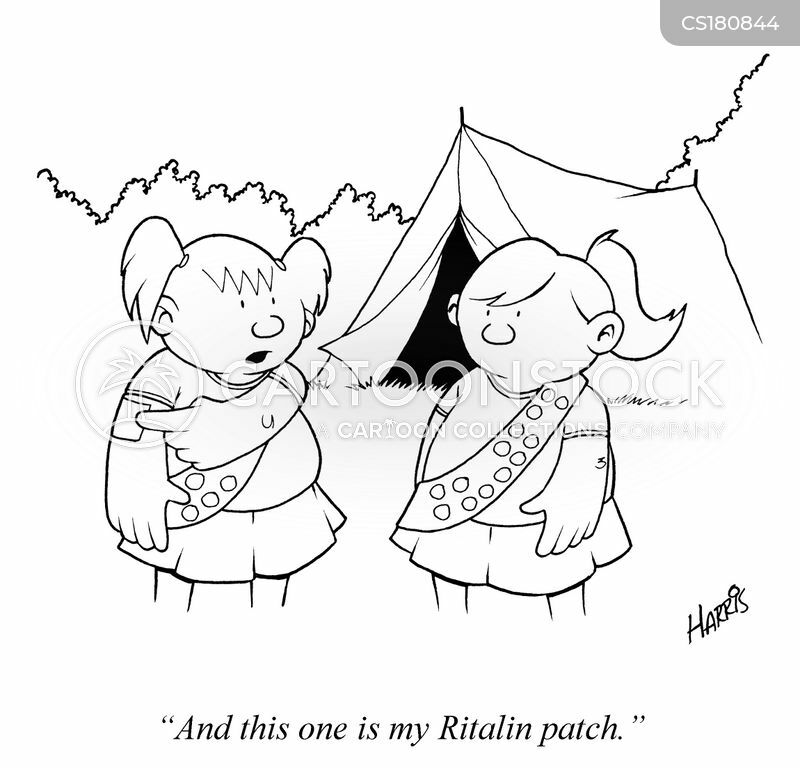 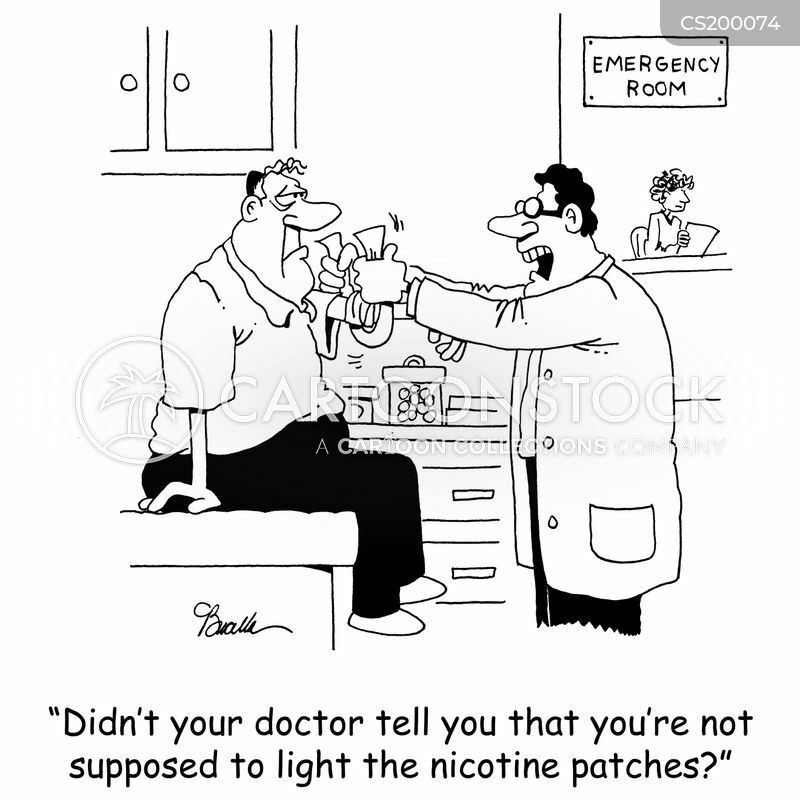 "Exactly how long have you been using nicotine patches?" 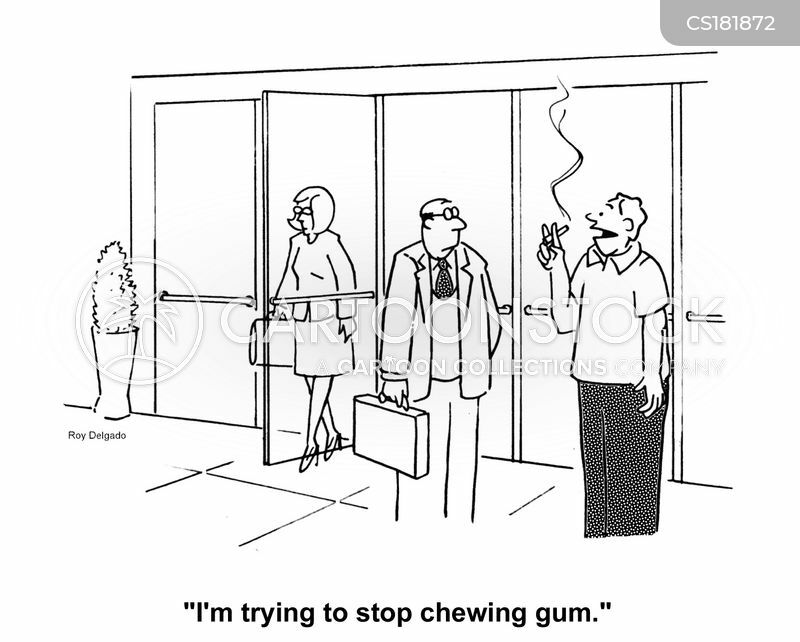 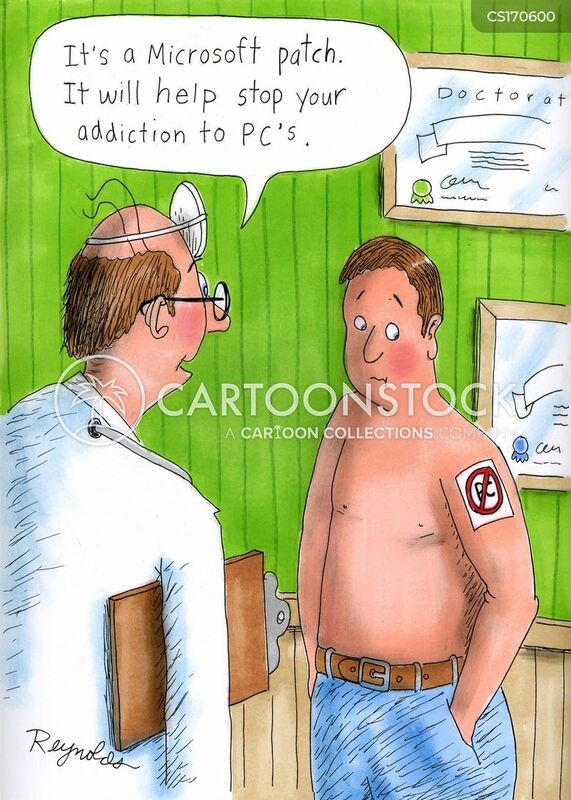 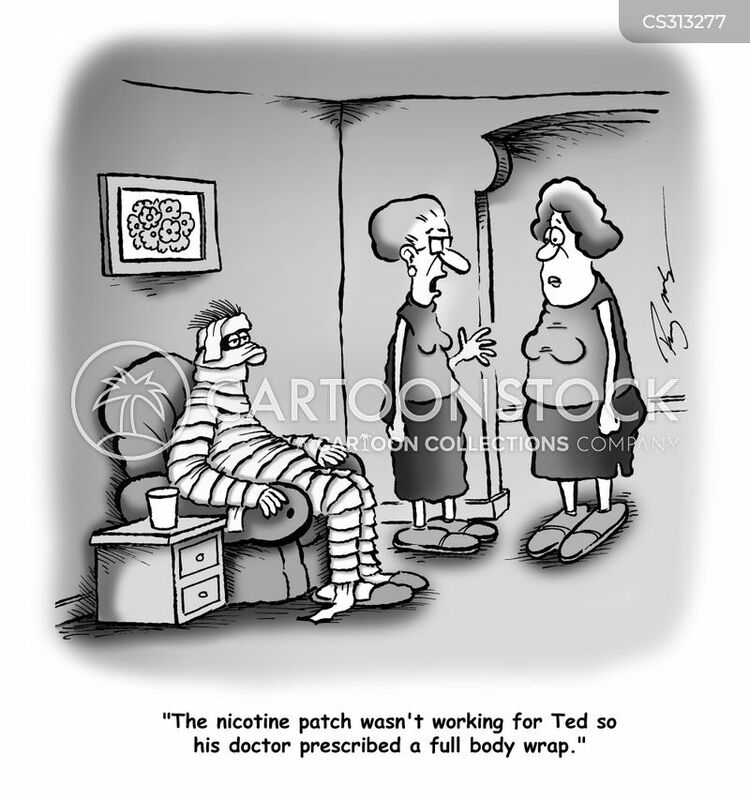 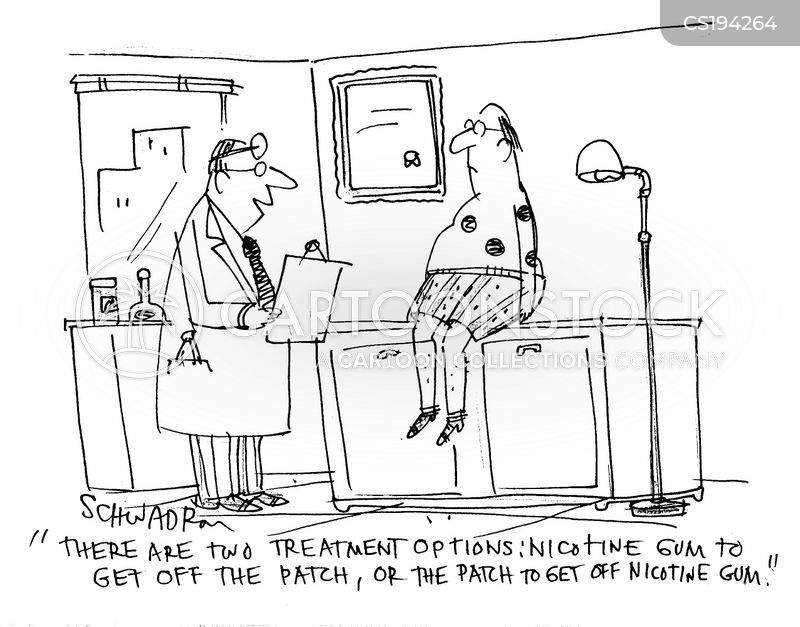 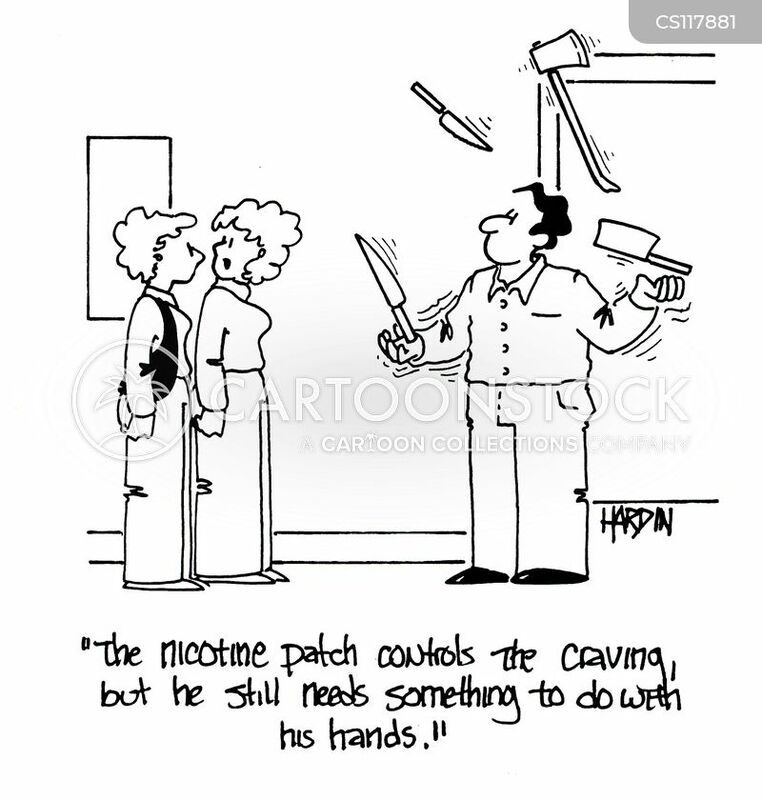 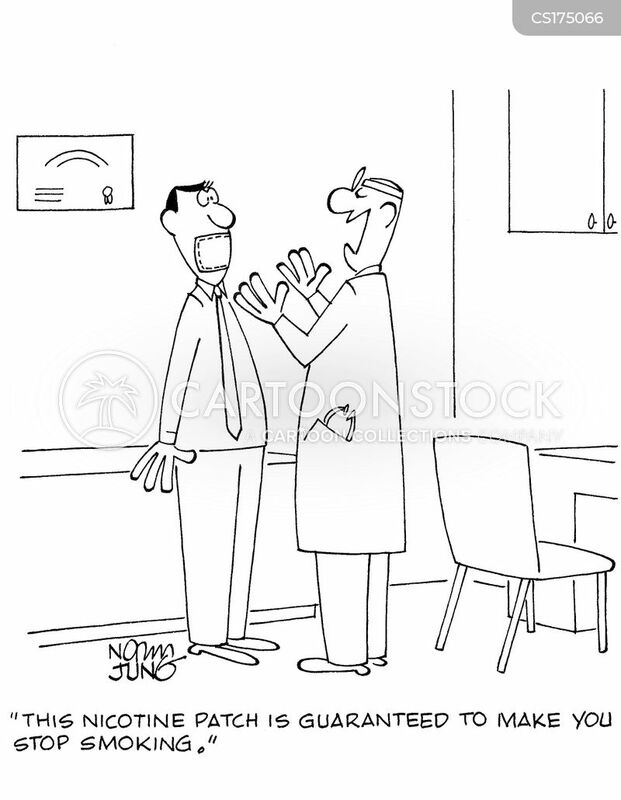 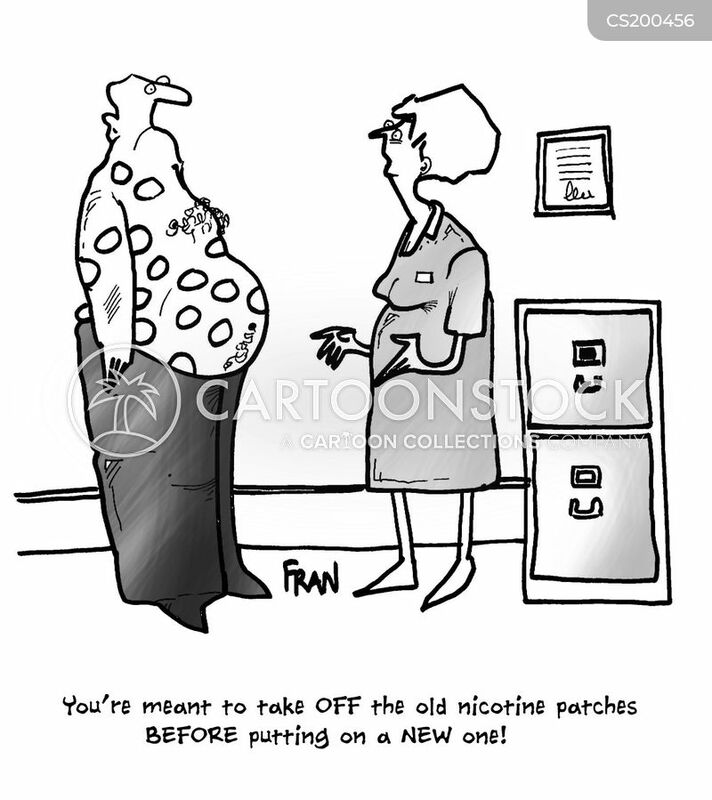 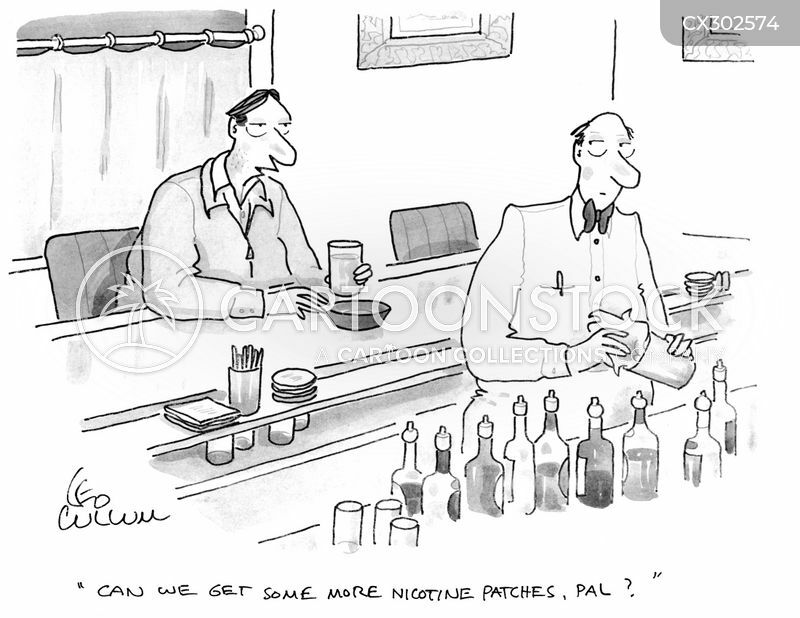 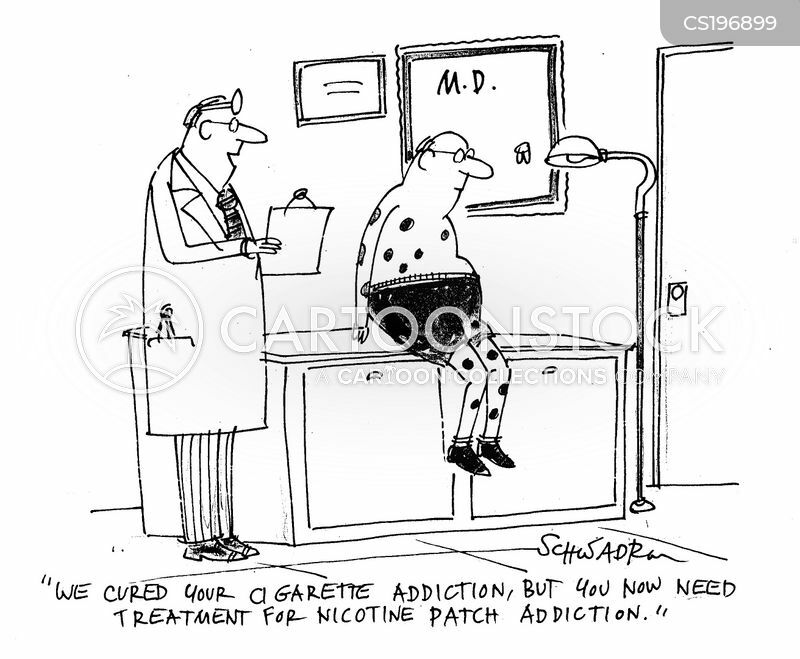 "Can we get some more nicotine patches, pal?"